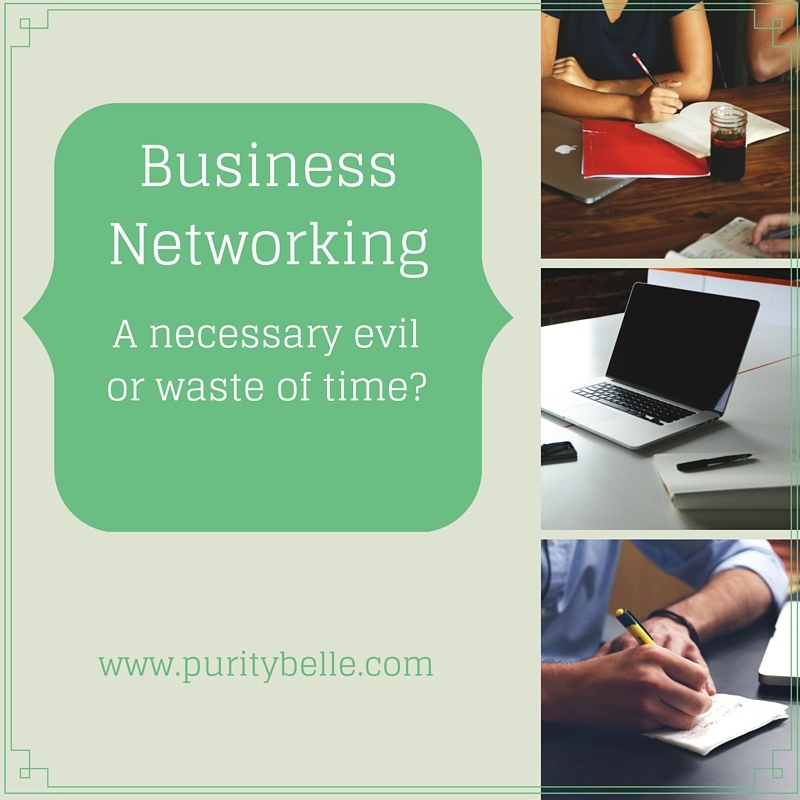 Business Networking - a necessary evil or a waste of time? Business Networking - Is it a waste of time? Ok, I'm being a bit of a devil's advocate here :) This is something I've been thinking about lately and kind of follows on from my 5 Reasons to cut down on Social Media post. I've been a bit jaded with the whole idea of business networking recently and a couple of people I have spoken to have expressed the same sentiment so just putting it out there - is it a total waste or the answer to everything? Certainly, starting out, I was anxious to get my name out there, publicise my brand, do everything possible to increase my profile online and off. With that in mind, I joined groups, went to meet ups and so on. I have to say that in the first flush of enthusiasm it all seemed great and probably was of huge benefit in that I met some really lovely people who helped me a lot in terms of advice and support. I also made some lovely friends and got to know fellow craftspeople. Now, however, it seems that there are a million different groups to join, a million online events to attend and I've found myself wondering if the payback is worth all the effort? Some sales have resulted from networking online and in person . However, at this stage of my business and with a somewhat wiser eye, I'm feeling more and more that any success I have achieved, has been the result of organic growth and a willingness to work hard on my part. I can't fully discount my earlier networking though, because as I said, it has helped me to make friends and have a sense of myself as a craft business owner. I do feel though, that there has been a bit of a sea change. Early events I attended had a natural optimism and innocence almost, although perhaps that was just my own perception, based on my newness to it all. Of late though, I am seeing more and more pressure to be part of a 'gang', a subtle intimation that if you aren't part of the right group, you are somehow less of a business person and less likely to succeed. Not only is this very off putting, but the cynic in me is saying that some businesses will benefit from this kind of subtle pressure and it has confirmed my own decision to be choosy and spend time wisely online. I haven't and won't discount networking altogether, I still love to meet people, online and in real life, particularly people who understand the joys and frustrations of running a craft business. One of my favourite groups is The Irish Craft Business Network, a closed group of craft business people, a great resource set up by Trish of Downland Crafts, who also has set up The top 100 Irish Craft Site. Do you agree or disagree? All comments welcome! No problem Trish and happy to promote your sites as they're such a good resource for us craft biz people.